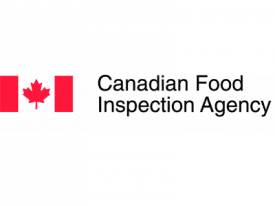 The Canadian Food Inspection Agency (CFIA) is accused in a lawsuit for placing too many large horses into crates before shipping them to be used for food overseas. A “large” horse is one that is over 4.5 feet long; these horses are supposed to be shipped in their own containers to avoid injury to themselves and other horses. Flown from Winnipeg, Edmonton and Calgary, the horses are slaughtered for food when they reach their destination. An animal rights group alleges that having so many horses in one crate is a violation of the agency's own rules; the group also alleges that some horses are dying en route to their destination. The lawsuit was launched to force the agency to follow their own rules, activists say. The CFIA acknowledged that it is not following its own size requirements when transporting the horses by air. This entry was posted in Horse Care and tagged calgary, Canadian Food Inspection agency, CFIA, edmonton, law, lawsuit, shipping, slaughter, Winnipeg by Paulick Report Staff. Bookmark the permalink.